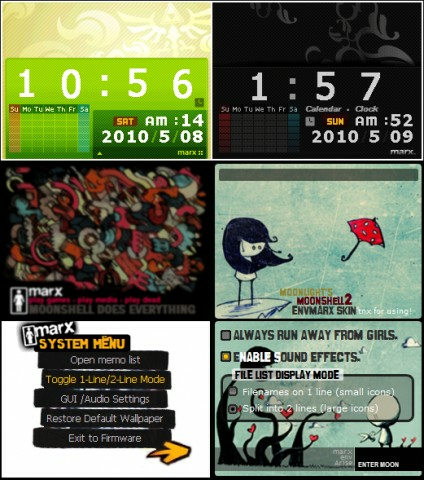 This skin is just a modified (much better) version of ENV skin (My Skin ;D), with AKAIO style ScreenSavers. Skin inspired from doodle style artworks, TonyHawk RIDE interface, Iphone Icons,etc. MARX Moonshell 2 skin 2.0 NEWEST!